Enhance the look of your tresses with the Balmain Half Wig Memory Hair, a natural-looking hairpiece made from patented Memory®Hair, a synthetic fibre that weighs 30% less than human hair for a comfortable experience. 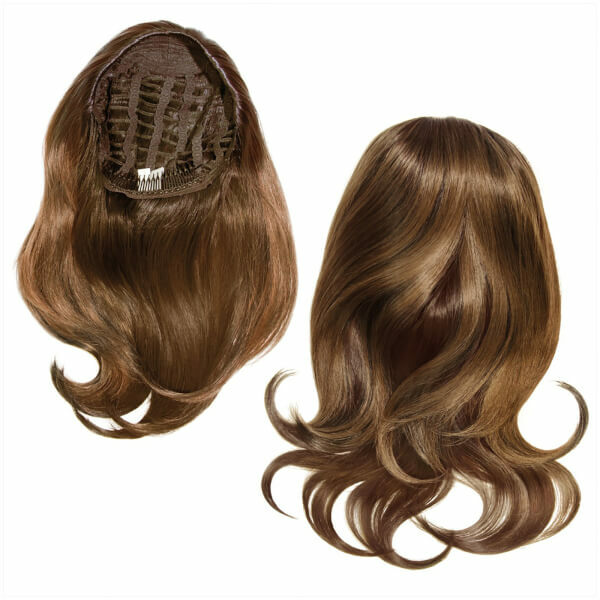 Perfect for creating big hair and voluminous updos, the half wig covers half the head, adding the fullness of a wig while preserving the natural hairline for invisible integration (the hairline can often be the tell-tale sign of wearing a wig). Mimicking all aspects of human hair, the soft hairpiece blends naturally with your hair and is quick to apply. Two flexible combs inside the wig secure the hairpiece onto the head for a comfortable and seamless fit. Can be curled and straightened up to 160°C. Make a section from ear to ear approximately 10cm from the hairline. Secure the Half Wig at the back of the head with the flexible comb. Secure the other comb near the section on top of the head. For seamless integration, tease some of the natural hair and comb over the Half Wig. Style as desired. Use the Conditioning Spray for Memory®Hair to keep the Half Wig in perfect condition.